Our standard Church Register Books are recommended for every parish. They measure 8-1/2" x 14" and are hand bound with luxurious maroon Tanotex (Rexine) and titled with hot stamped gold foil. 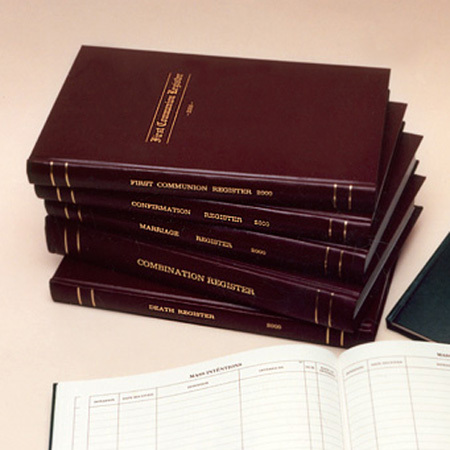 Each book is indexed and has high opacity ledger paper throughout to give long life. Our registers have additional pages for proper amendment to any previous entry.